Citizens Yellow Pages has been in the Industry for the LAST 15 YEARS. We have won several awards and accolades for providing top of the class service to our customers. Citizen’s Yellow Pages has been in the local search & print media since LAST 15 YEARS. Connecting Buyers & Sellers, and providing free & up to date information to people of India. Mr. Omprakash Jain is the Founder & Chairman & CEO of our company & has been associated with the company since incorporation in 1995. He is the pioneer of the company towards new goals and achievements. He has a rich 20 years of experience in the field of media, publishing of business directories & local search services. Prior to incorporation of Citizen Infoline Ltd. He had been successfully running various other business in the field of Textiles, finance & manufacturing. He is actively involved in forming of all the business strategies of the company & their execution. Harsh Jain is a director in the company since last 5 years & plays and active role in all the marketing strategies of the company since last 12 years. He holds MBA(Finance) degree from Narsee Monjee Institure of Management Studies & Diploma in Human Resources from Ahmedabad Management Association. 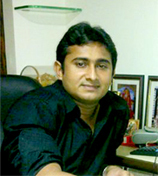 Citizen123.com is brainchild of Mr. Harsh Jain. He is also Editor & Publisher for Citizen’s Yellow Pages. He is actively involved in the formulation of corporate strategy and planning, overall execution and management, and concentrates on the growth and diversification plans of our Company. Ravindra Jain is a director in the company since last 8 years. Mr Ravindra manages all the technical aspects of the company related to development & functionality of the website citizen123.com. He holds a bachelors degree in commerce from HL College of Commerce, Ahmedabad. He plays a key role in the management with responsibilities including business development, planning and execution. Kasturi Ravindra Jain is a director in the company. She holds a bachelors degree in Commerce and provide a valuable support to the management and takes care of the back office & administration responsibilities in the company. 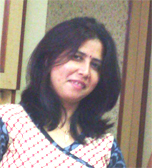 Mrs. Alpa Mehta is CFO of our company. She has been associated with our company since last 10 years and has an in-depth knowledge if company’s accounts and finances. 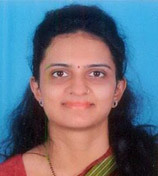 She holds a bachelors degree in commerce from HL College of Commerce, Ahmedabad. She has approximately 15 years of experience in the filed of accounting & finance. Increase our market share in India’s expanding Yellow Pages & online industry by following a disciplined growth strategy focusing on quality and not on quantity and delivering high quality customer service. Develop innovative products and services that attract customers and address inefficiencies in the Indian advertising sector. Ahmedabad, Gujarat, India – 380006. Copyright 2015-16. Citizen Infoline Ltd. All Rights Reserved.